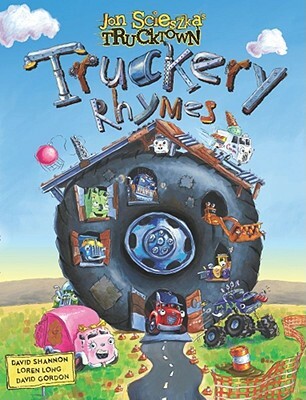 For generations these classic, high-octane rhymes, songs, and tales have been passed down from truck to truck. Lucky for us, the National Ambassador for Young People’s Literature has collected them all into one really big, noisy volume. From “Peter Peter Payload Eater” to “Pop Blows the Diesel” to “Swing Around with Rosie,” all the classic truckery rhymes are here. Find out which one is your favorite!